You have a message that you want to share with the world. You’re a creator with a calling so big that it will leave a lasting impact on your audience. You’ve done the research, you did the work, you have the innovative product and the industry-leading service that can make a difference. The problem is… you haven’t connected with the right clients to work with. Yet. 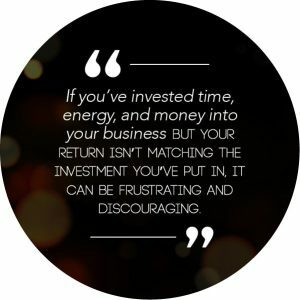 If you’ve invested time, energy, and money into your business but your return isn’t matching the investment you’ve put in, it can be frustrating and discouraging. Day in and day out, you work hard on your business but can’t seem to be attracting the right clients. 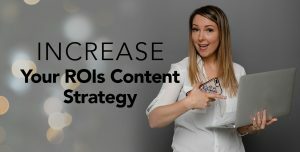 You know that marketing plays a huge role and you’ve done your part to create a content strategy that is both engaging and effective. 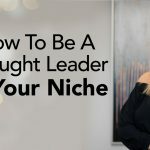 You’ve established an informative website, you’ve built the social media accounts, created the Facebook groups and written the content… still, not a lot of bites. 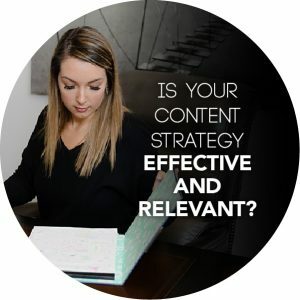 So, let me ask you… is your content strategy effective and relevant? The truth is, there are probably other companies out there who offer a similar product or service but have continuously attracted and signed the clients they need to meet their revenue goals. So what is the secret? What’s the difference in their marketing strategy that has produced results? The marketing world is constantly and rapidly changing, especially in this digital age where technology is evolving at warp speed. The world wide web has provided even bigger opportunities and a wider reach to get your message across. To reach your audience, you have to meet them where they are. To know where they are, you must stay relevant and aware of the channels of marketing that is experiencing the largest growth. It’s important to keep your finger on the pulse of the present and future of marketing and knowing what mediums are becoming a thing of the past. 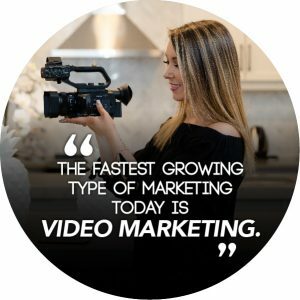 The fastest growing type of marketing today is video marketing. It is arguably the most in-demand form of content creation for businesses to implement in their strategic plan. According to Hubspot, 87% of online marketers are currently using video content in their digital marketing strategies and that number continues to grow yearly. Wyzowl’s ‘The State of Video Marketing 2018 Report’ states that 81% of people have been convinced to buy a product or service by watching a brand’s video. 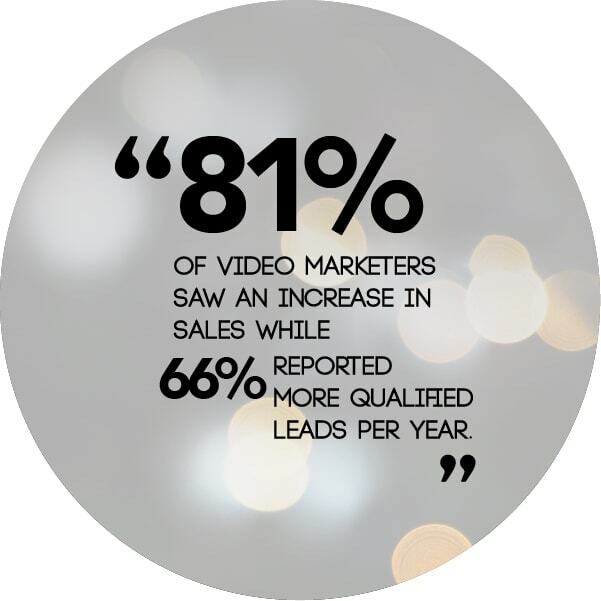 Moreover, 85% of businesses regard video as an important part of their marketing strategy. This is a massive 82% increase from 2017. In the same report from Wyzowl, among those surveyed, 81% saw an increase in sales while the Aberdeen Group reports that businesses using video marketing receive 66% more qualified leads per year. Numbers don’t lie and it’s clear that using video is one of the most effective marketing mediums to use for your business. Video marketing can single-handedly drive traffic to your website and attract the right clients. As with anything, however, there is a learning curve and challenges involved. According to Ascend2’s State of Content Marketing report, 64% of marketers consider video as the most difficult type of content to create. It takes time and expertise to make powerful and effective scripts, film, edit, publish, and promote your videos that can will increase your ROI. To distribute properly, each social networking platform requires a different format – from Youtube, Facebook, Instagram TV, Twitter, LinkedIn, teasers, and trailers. Video marketing is not the cheapest or easiest strategy, but it pays off – if it’s done right. Just like your business, it takes time and energy to implement, execute, and nurture. It can be overwhelming and yes, it will take valuable time away from what matters most – your company. It sounds like a lot of work because it is. 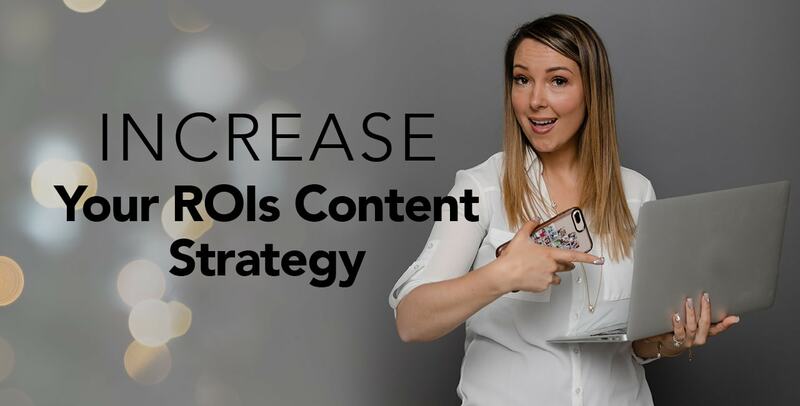 What if I told you that you can have a completely hands-off approach to video marketing so you can focus on what you do best, and that is creating your vision and connecting with your audience? You can have scripted videos batch filmed, edited, and repurposed for all social networking platforms. Your automated videos will be released in a steady stream to build up interest and increase engagement – all while staying on brand and consistent with your messaging. As an entrepreneur, I know how overwhelming it can be to do it all. You have an impact-driven and profit-focused business, but you need a knowledgeable team of experts to implement a marketing strategy that works. That’s why I’ve created the VIP Video Code Done For You Program. You can increase your ROI without adding more to your plate. You can build your vision without taking time away from business and your family. Visit our Done For You Program to learn more.